Sixes are one of the most difficult types to identify, not only because the outside presentation can vary widely from person to person, but also within a single individual. 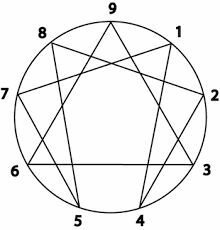 Sixes are often the most gregarious, warm-hearted, and good-humored people on the outside, but internally, experience a constant fear and suspicion, that makes trusting others extremely difficult. Sixes are known to ascribe to a cynical worldview that says, Who cares if the glass is half empty or half full, it will break anyway! And though they are fearful people, they also tend to act with a fierce kind of courage in crisis. They are quite used to grappling with fear, and can show an incredible resiliency to it. Sixes are constantly scanning their environment and have highly developed awareness skills. If the five’s animal symbol is the owl, then the six’s animal would have to be the rabbit, with its adapted skills of self-protection that enable it to flee at first sign of danger. These evasion tactics are evident even in the six’s sense of humor. They often have a self-deprecating wit they use to disarm others, all the while coming across as merely playful and congenial. And indeed they are playful. They make excellent team members and are incredibly self-sacrificing friends. They have a keen sense of group dynamics, and this gives them an uncanny ability to support others. However, sixes fear and believe that they are without support themselves, and it is for this reason they fight so hard for their own self-protection. At their core, sixes believe they must be alert and protect themselves from a cruel world. 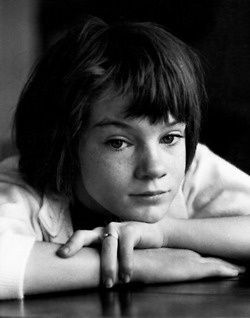 Jean Louise “Scout” Finch, the precocious and riotously funny child narrator of Harper Lee’s To Kill a Mockingbird, is like many sixes, an observer and a questioner. She watches her father and the adults of the town and polls them frequently to assess what is appropriate, what is right, what is threatening, and what is safe. For Scout, safety is found at home in the arms of her father, Atticus. He is a stable force in a world of unpredictable cruelty and prejudice in the American South of the 1930s. Scout experiences an incredible transformation, from innocence to the beginnings of wisdom, during the course of the two years of the novel’s time span. In the beginning, her greatest fear is of the Radley house, with all its shadows and mysterious residents. By the end of the novel, she has learned that Boo Radley, the object of much of her anticipation and terror, turns out to have been a pure and protective spirit all along, while the townspeople of Maycomb are actually more deserving of her suspicion and distrust. 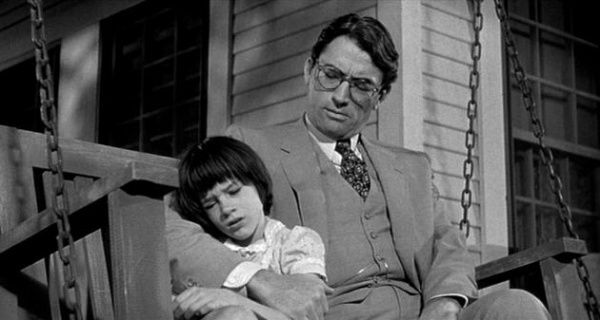 The novel ends with the famous conversation between Scout and her father. When she expresses to him her surprise at Boo’s kindness, he responds, “Most people are, Scout, when you finally see them”. Scout’s journey is one that all healthy sixes must undergo. She learns that her fear is important but not without flaws of perception. Sixes must learn to take charge of their lives by accepting their own feelings, since they would much prefer to live in their heads. Over-thinking is highly symptomatic of sixes, and they can have difficulty acting or feeling. The essential task for the six, however, is the acceptance of their own fear. Sixes must develop faith in themselves and others in spite of the real and perceived dangers present in the world, and in this way begin to move toward freedom.